Remember that investing is a long-term strategy, and markets favor the long game. Historical data has shown that, with a diversified portfolio, investors are rewarded for holding on to their investments for longer periods of time, as opposed to those who let short-term fluctuations sway their sound investment strategies. If you zoom in on market trends in the span of a week, month or even three months, they will make little sense. Changes may seem sharp and the market will seem unpredictable — a surefire recipe for wrecked nerves. However, if you zoom out and take a broader look, you’ll find that over long periods of time, markets tend to have an upward trend. When making investment decisions or planning your investment strategy, facts and numbers should be your main driver, rather than emotions. Relying on your feelings could cost you lucrative investment opportunities. Fear and anxiety negatively impact our decision-making abilities, studies have shown, triggering a flight or fight reaction that makes selling seem like the right decision. In times of uncertainty, put your fears aside and listen to experts. 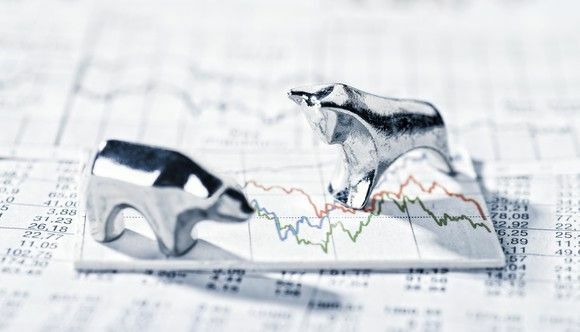 Investment banks such as EFG Hermes employ analysts and brokers whose bread and butter is to read, understand, analyze, and properly react to market behavior. Someone with both an outside and expert perspective is exactly who you need to help you overcome the kind of anxiety that comes with stock market investments. Try to re-frame your perspective on volatility. If markets go down, take advantage of lower prices and increase your investments, don’t pull out based on a bad day, week, or even month. This change in behavior will ultimately shift your perspective on market volatility, seeing it as an opportunity rather than a threat. In short, as an investor, remember that markets reward patience. There’s a reason stocks have higher rates of returns: they carry a greater risk, which inevitably translates to greater anxiety. However, studies show that over long periods of time, it doesn’t really matter whether you’re heavy on stocks, bonds, T-bills or even gold; what matters is that you hold your ground. Diversify your portfolio, stick to your guns, and you’ll find yourself enjoying the fruits of your patience and sound-minded investment decisions in no time.